Secure Sockets Layer (SSL) is cryptographic protocol that provides communication security over the Internet. SSL encrypts the segments of network connections and ensures that all data passed between the web server and browsers remains private. SSL activates the padlock on web browsers, indicating to a visitor that the connection to the website is secure. In addition to SSL all passwords passed to our server are encrypted using industry standard one way encryption. That means that your password cannot be decrypted in anyway. 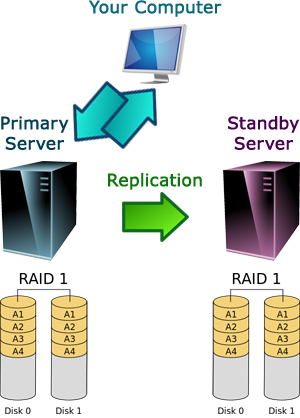 To secure your data we use Disk Mirroring and Synchronous Replication. All the data is written to two separate physical disks. The disks are essentially mirror images of each other. If one of the disks fails, the other can be used to retrieve data. Disk mirroring is good for very fast read operations. Furthermore, the entire diary is replicated to a standby server. Both servers have a single IP address therefore can be switched over in matter of seconds.